Wow! Dramatic scenes at Zolder at the FIA GT race last weekend - we take you behind the scenes with this highlights film, as the team experience their most challenging weekend of the season so far! 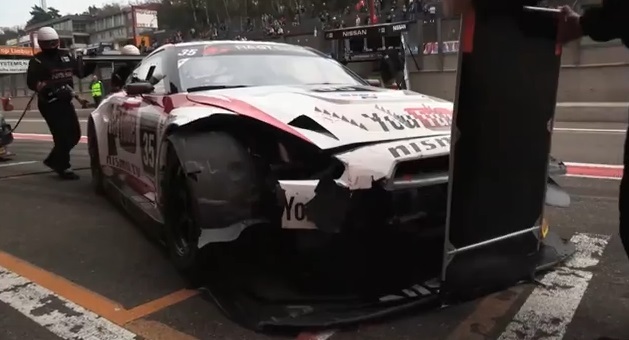 The team have to deal with the Nissan GT-R Nismo GT3 getting a bloody nose. The driving team consists of Lucas Ordonez, Alex Buncombe, Wolfgang Reip and Mark Shulzhitskiy. What do you think of this video? What do you want to see us cover at the next race?